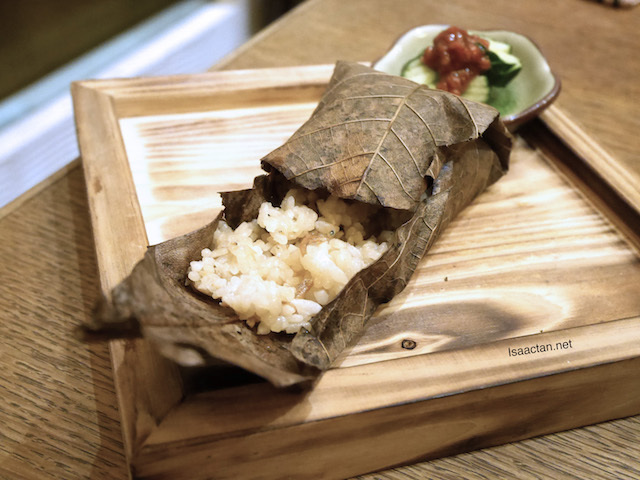 Just a couple of days back, I had the chance to savour some of Xenri New Kaiseki Cuisine, just in time for the upcoming Chinese New Year. 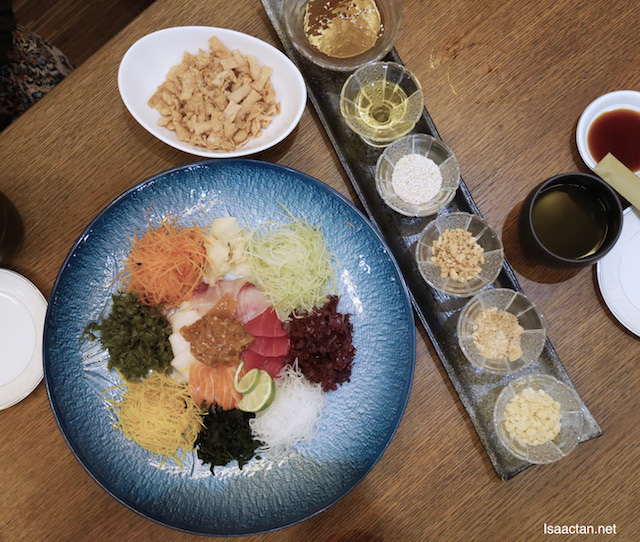 It was an interesting mix of premium Sashimi Yee Sang, their very own vegetarian yee sang, together with some fresh river prawns, sushi rolls, and oysters. Check out below on what we savoured that afternoon. 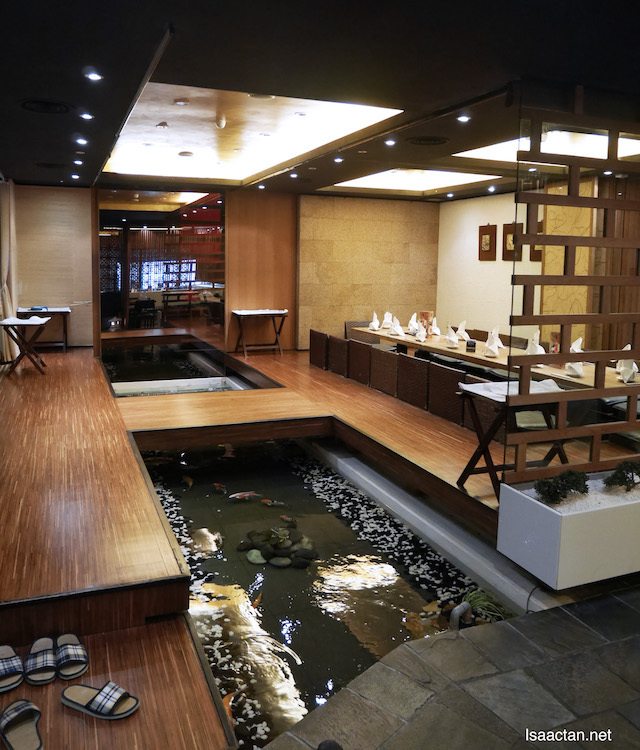 For an unforgettable culinary adventure, embark on a journey with Xenri Japanese Cuisine. The word Xenri means "a thousand miles", denotes an intimate haven for gourmands who relish quality food in a comfortable modern Zen-inspired decor with attentive service. It's Zen-like all right. Love the decor. Wood, water, fishes, lovely decor! Xenri's uncompromising hallmarks are captured though its seasonal offerings including the modern Kaiseki cuisine with the freshest ingredients. Did you know they have been around for fourteen years already? That's pretty long, which actually gives them ample time and opportunity to experiment and come up with superb dishes. 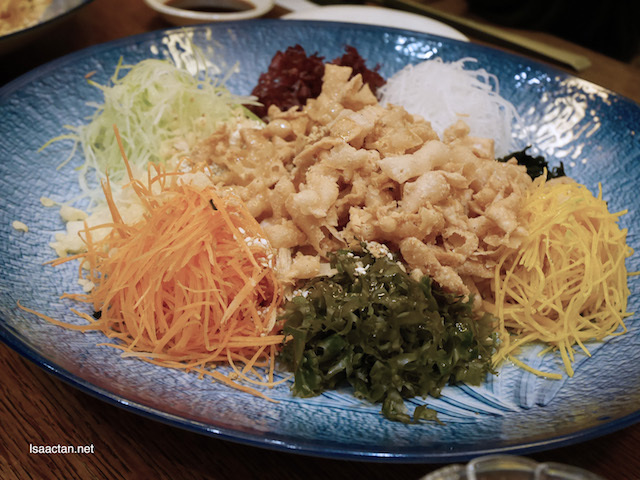 Yee Sang to usher in the New Year. For prosperity, luck and everything good! 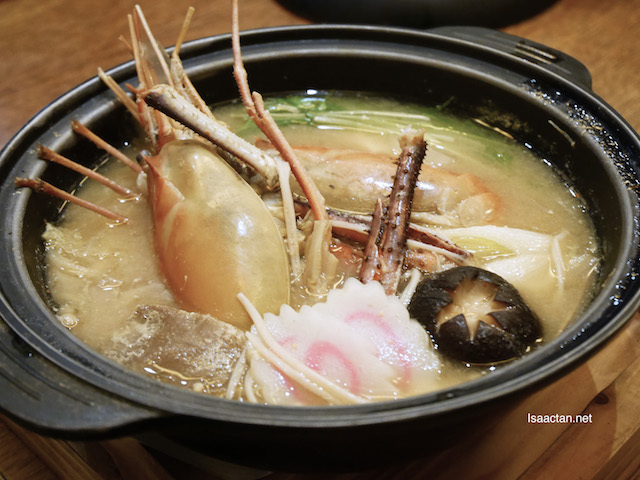 After the customary yee sang tossing, we were treated to a rather refreshing seafood dish, the Royal Ebi Nabe. 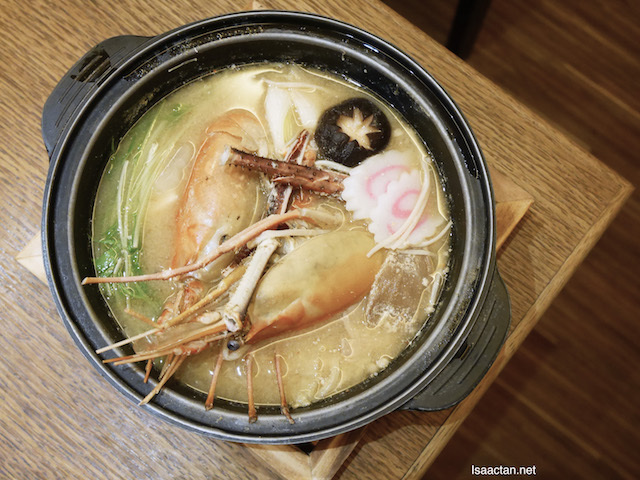 Inside we had these big and fresh river prawn simmered in mi soup hot pot, with assorted vegetables, mushrooms and fish cake. Slurp it till the last drop, it's indeed satisfying, especially when served hot. Traditional sushi roll delicacy with crispy snow crab leg, flying fish roe, cucumber, coral lettuce, black oak leaves and garlic mayonnaise. 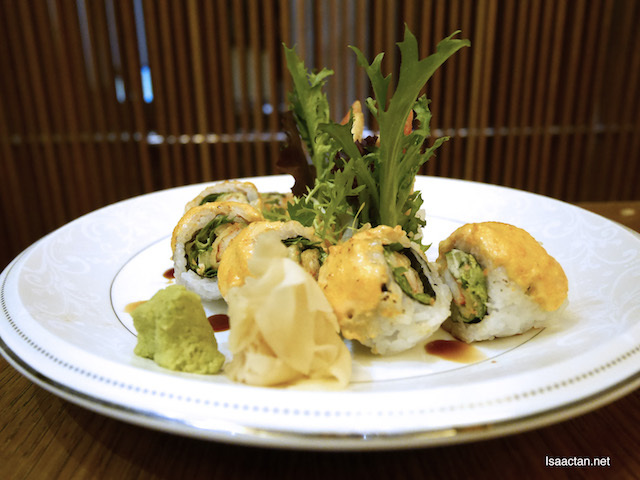 Nothing comes close to the taste of Xenri's Golden Haru Maki. I just had to have more after tasting this delicacy. 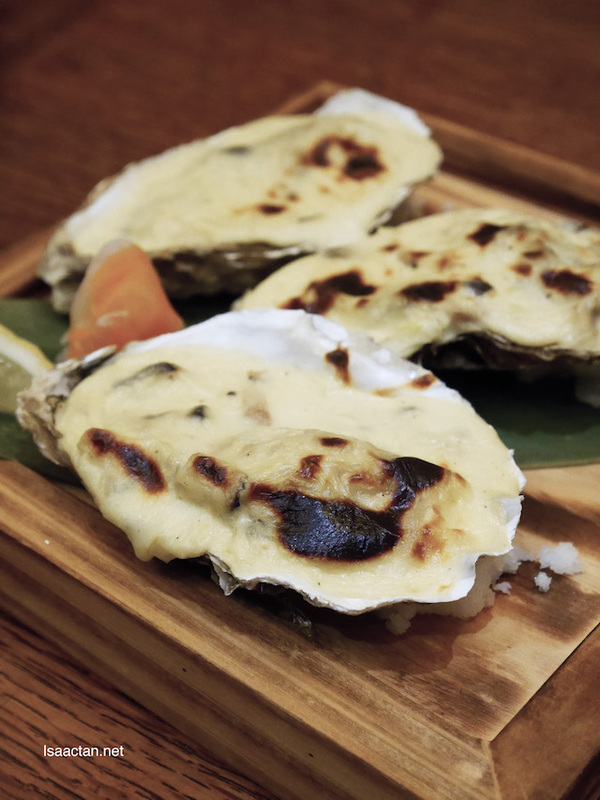 More delectable cuisine, do try out their Oyster Hiroyaki, oyster in shell baked with cheese, topped with diced onion and shitake mushroom. The oyster dish is part of Xenri's Boundless Fortune offering. I personally loved the delicious rice offering at the end of our meal at Xenri Japanese Cuisine. Super nice!